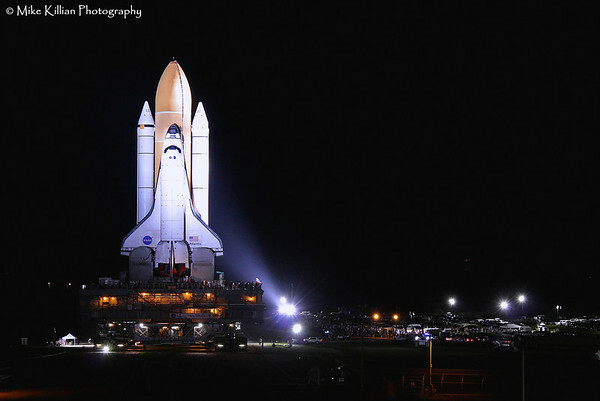 Space Shuttle Atlantis thundered into the history books on Friday, July 8th, 2011, closing out NASA's 30-year shuttle program with the STS-135 mission. The all-veteran crew of 4 astronauts delivered critical spare parts & tons of supplies to the International Space Station & delivered an experimental robotic refueling machine, in hopes it can be used to refuel satellites in orbit. Atlantis touched down back in Florida Thursday July 21st, bringing an end to one of America's greatest era's - the space shuttle program. 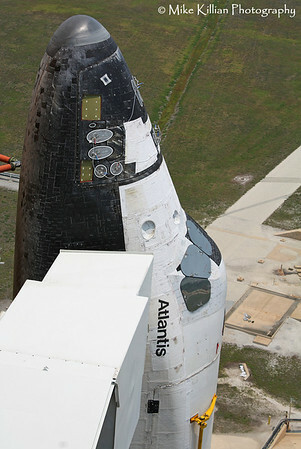 Atlantis will be processed as a museum piece to be put on display at the Kennedy Space Center Visitor Complex in Florida, with the exhibit's grand opening scheduled for 2013. Coverage for Zero-G News and ARES Institute. All images copyright Mike Killian Photography, all rights reserved, unauthorized use is prohibited.